Joy and George visit the U.S. 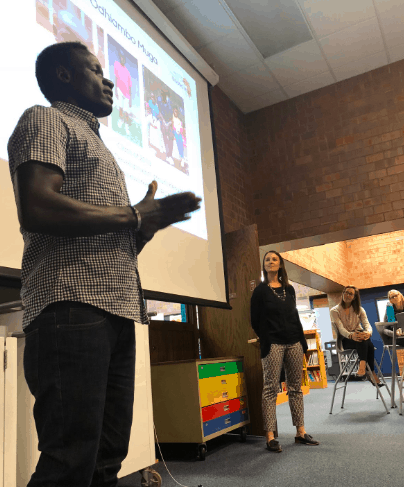 This fall we were thrilled to welcome Joy Obiya and George Odhiambo to the US as representatives of the staff and students in the program in Kenya. Joy is the head of the post-secondary department and has been a caseworker with us for four years. It was wonderful for Joy to be able to meet with so many sponsors and donors, as well as spend time with our US-based staff especially since we have a growing number of students entering and completing post-secondary. Joy was able to give us a better understanding of the post-secondary environment in Kenya, and was able to help sponsors understand what to expect when their students graduate from High School. In addition to being the head of the post-secondary department, Joy has also taken on the responsibility of running the sexual and reproductive health program, and has helped to develop each individual student’s plan for success following their high school graduation. 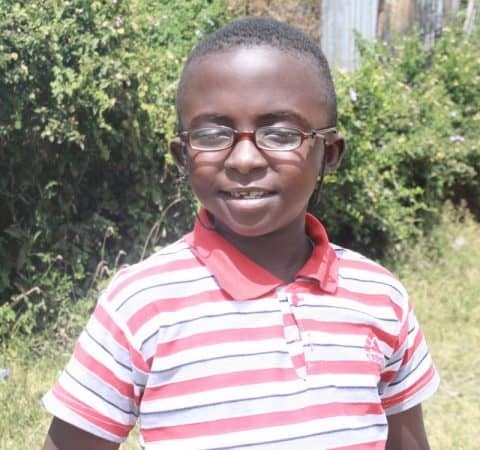 e in the U.S. gave sponsors and donors a unique perspective into the life of a student in the program and we all heard and saw first hand how the experience can change a student’s life for the better. During their time in the US, George and Joy traveled throughout Minnesota, Iowa, Texas and the east coast meeting with sponsors and donors as well as giving presentations to churches, s chool teachers, friends and family, and of course at our Annual Gathering. They were also able to meet individually with some sponsors and donors and give unique insight regarding the students they sponsor. 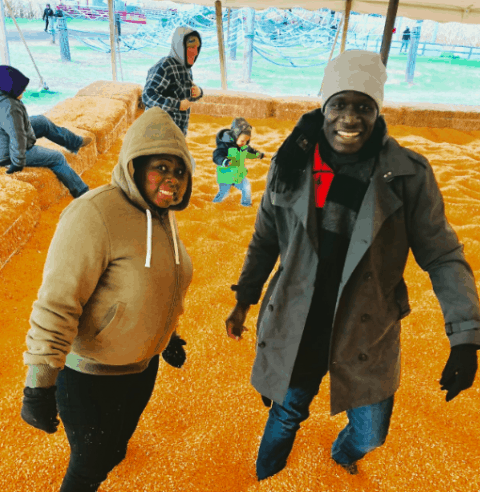 In addition to these meetings, George and Joy were able to experience a small part of what it’s like to live in the midwest –they attended a fall festival/corn maze, went shopping at the Mall of America, and tried lots of new foods. 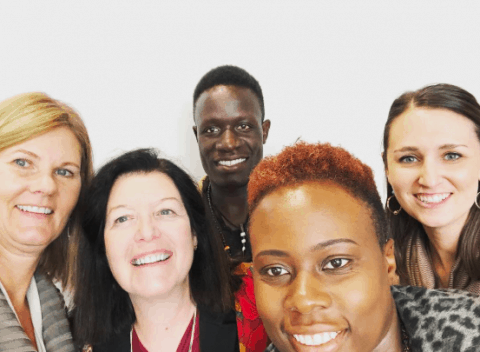 In addition, they had lots of opportunities for professional development both with our U.S. staff and board members and by meeting with other professional groups and individuals to gain insight and experience. 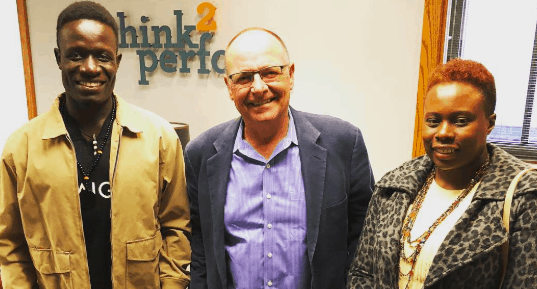 As some of you know, the trip from Nairobi to Minnesota is a long one, and we are thrilled that George and Joy were able to take advantage of this opportunity to grow as caseworker s, and to help our organization grow and foster new connections. This was George’s first time on a plane, and first trip out of Kenya, and Joy’s first trip out of Africa. For those of you who met with George and Joy during their time here, thank you for spending time with them and for allowing them to share their perspectives with you. I absolutely loved spending time with Joy and George! They brightened conversation, enlightened me about their lives and work, a half a world away, and taught me a great deal about Friends of Ngong Road. What an honor to call them friends as we share, in the little and big acts of living in hopes of spreading goodness around the globe.